With all of the colds, flu, viruses, stress-induced sleep disorders, hormone imbalance and low energy that people experience this time of year, our nutrition really matters! If you want to stay healthy, you need to be eating organic, plant-based, enzyme rich, alkalizing foods now more than ever! It’s cold outside as I’m typing this, and I’m sitting here eating a big marinated kale salad packed with spirulina, tiny wild blueberries and cilantro leaves. It’s absolutely mouth-wateringly delicious! We all need what these healing superfoods have to offer. These ingredients help balance our emotions and a give us a heightened sense of well-being. While kale salad is served cold, it’s okay because I have some tricks to keep you warm. Here is what I do: Make raw/cooked combos. Sounds so simple right? If you start eating only hot, cooked foods, you will be crowding out the healing, alkalizing raw vegetables, and you are going to miss out on some of the most amazing foods the planet is growing just for you, right now! It’s important to keep getting the leafy greens in your body. I paired my raw kale salad with a bowl of hot pumpkin soup topped with a raw green pesto sauce. I am alternating bites, and it’s making my belly feel so warm inside. I have found a perfect, harmonious balance. There are lots of ways you can eat more raw foods this winter so you can stay healthy and get all of your nutrition and emotional needs met. Right now, I can’t seem to get enough apples, winter kale, seaweed, fresh turmeric and ginger. I’m drinking wellness shots every day. 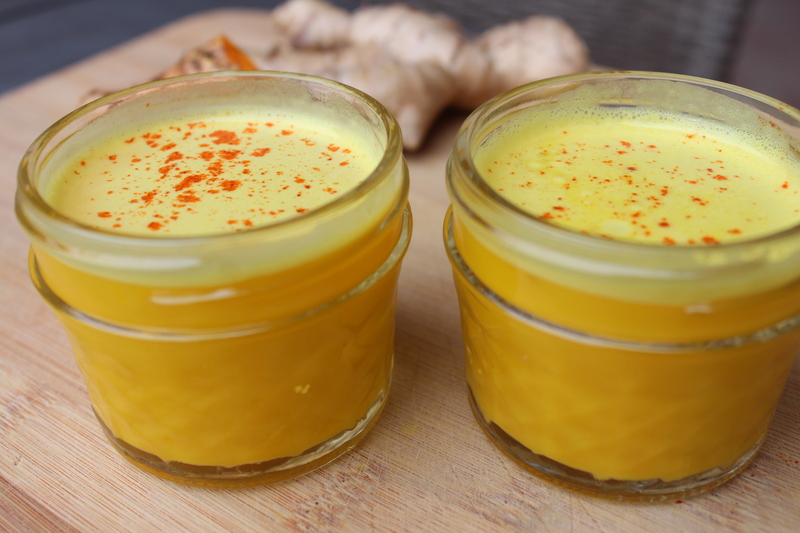 It’s a raw, fresh beverage, and it’s very warming because it’s loaded with digestive firing ginger and anti-inflammatory turmeric. I’m also eating big seasonal salads which are packed with superfoods, and I’m making sure I make hearty, warm dishes in the evening to keep my body feeling warm and balanced. Warm green juice: Drink a big celery, ginger, green apple and lemon juice in the morning on an empty stomach. Make sure you add plenty of ginger and sprinkle it with a little cayenne to warm you to your toes. You can make your juice the night before so it’s waiting for you when you get up. If you want it to be warm out of the fridge, add some hot water to it so that it’s warm enough to feel good going down. 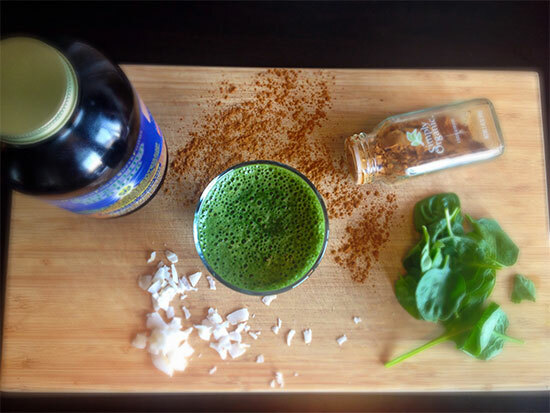 Follow your green juice with a hot beverage like coffee, tea or a healthy hot chocolate elixir. Steamed Veggies with Kale, Chard or Collard Salads: Winter greens can seem cooked if you marinate and squeeze them with some lemon and salt then mix in some tahini, olive oil or coconut butter for creaminess. I like to sprinkle wild blueberries, sprouted pumpkin seeds, coconut chips and dulse flakes on top for added texture and nutrition. On the bottom of the bowl, add hot, steamed cubes of pumpkin, sweet potatoes, broccoli, Brussels sprouts or beets. They will warm up the entire dish. Creamy Raw Sauces: My favorite warming dish is a coconut-curry sauce over steamed veggies. But you can make any kind of raw sauce you want and use it in your hot soups, over steamed veggies, and on cooked quinoa. Ideas for sauces: Pick a nut or seed butter such as coconut, pumpkin seed, tahini or almond butter. Then add one or two of your favorite spices like cumin, curry, Italian, onion powder, fresh herbs, garlic, ginger and/or lemon. I like the addition of a chopped tomato or bell pepper to the sauce to sweeten it up a bit. Salt to taste after blending, then pour this over your hot veggies or quinoa. Keep the rest of the sauce in the fridge for up to 1 week. Crunchy Raw Toppings: Chopped crunchy veggies like carrots, bell peppers, cucumbers and Romaine. Sprouted and dehydrated pumpkin seeds, watermelon seeds or walnuts, dehydrated, seasoned coconut chips and dehydrated crackers all make flavorful, crunchy additions to the top of your meals. They are both warming and nutritionally dense. Seasonal Fruits: Oranges, apples, pomegranates, and pears are wonderful foods to add to your daily routine during the colder months. They can be eaten as snacks to keep you from eating too many sweets. In fact, I find that eating a couple pieces of fruit a day such as apples and oranges during the holidays keeps my cravings for sweets and chocolate at bay. Superfoods to the rescue: Superfoods are nutritionally dense foods that are small in size but make a big impact on our health. Green powders, ginger, garlic, hemp seeds, sun-dried olives, spirulina, seaweed (dulse, nori, and kelp), Ho Shou Wu, bee pollen, chia seeds, goji berries, astragalus, and coconut oil or butter to name just a few are easy to put into your morning breakfast porridge, in your smoothie and on top of your salads and soups. These foods will keep your energy flying high during the cold months and are super immune boosting power houses. 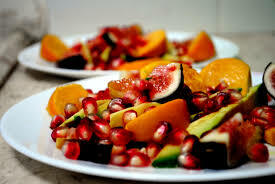 We need our friends, the raw, enzyme rich, freshly grown fruits and veggies and their seeds to be with us all year round. They help us balance our emotions, keep our nervous systems calm, invite good, friendly bacteria into our guts and help fight off all the bad guys. Don’t leave them out in the cold, they are the best friends you’ve got this season!